For me its simple I will be giving my cute Tatty Teddy Me To You Bear to my Husband, he is a kind and caring and always does all he can to keep us all happy, He defiantly likes to fill our family times with fun days out, Trips to the movies and yummy meals where we have the most amazing family days together, I chose this cute Me To You Bear holding a single flower as he looks amazing and is the prefect way for me to say Thank You. 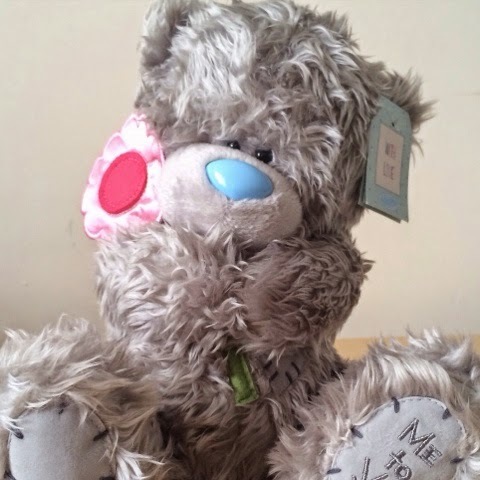 Check out Characterwise/Win six Me To You Bears Competition and you could win a Me To You Bear for someone special. CharacterWise is a an online store which offers character branded gifts & products and is one of the largest online stores that offers the cute Me to You products as well as My Blue Nose Friends, Hello Kitty and Disney's Frozen, as well as so much more gift ideas. CharecterWise aims to take the character from the stories and bring them to life, to find the perfect gifts for yourself and your loved ones. Check out Characterwise for this cute Me To You Bear and more.